Cabbage is a versatile, nutrient-rich and extremely enchanting vegetable that can be steamed, sautéed or eaten raw. This cruciferous vegetable does wonders for your overall health, is low in calories and has a negligible fat content, which is why it is famous for its weight management properties. Cabbage is loaded with antioxidants, calcium, iron and vitamin C which serve to boost immunity and fortify your body to combat diseases. Apart from its innumerable health benefits, this round, leafy vegetable doesn’t get the respect and love that it is due. Before you turn up your nose and make faces, there are a host of amazing and drool-worthy ways to prepare cabbage. It is not only cabbage soup that you can make with this nutrient-dense leafy vegetable. There are a plethora of mouth-watering cabbage recipes that you can add to your menu without even making your kids realize what they are gouging on. From fresh salads to hearty soups, spicy curries and savory pancakes, there are a lot of healthy and comforting meals that you can prepare with this leafy green. Give your usual green vegetables a break and try these exciting cabbage recipes to wow your taste buds and get your fill of calorie-free scrumptious nutrition. 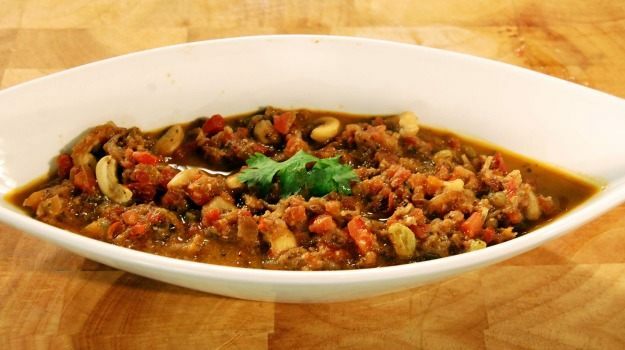 This delicious and rich curry dish is as versatile as it goes, and is a perfect mélange of earthy, exotic and authentic Indian ingredients which can run the gamut from a variety of meats to a host of different vegetables. This healthier rendition uses cabbage for the balls. Make cabbage koftas with shredded cabbage, coconut, garam masala, coriander powder, chili, chickpea flour, and onions, and simmer them in a delightful savory tomato based gravy. 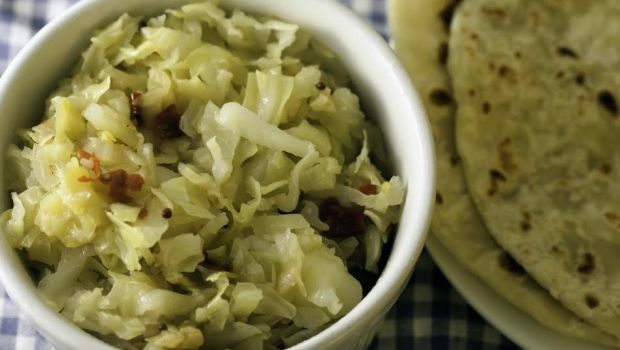 If you haven’t tried this yumilicious version of cabbage yet, you need to rush to an Indian restaurant in St. Kitts noq. A delectable and low-calorie version of dim sums that we can’t seem to get enough of. These Chinese cabbage parcels are prepared from seasoned minced chicken, wrapped inside thin cabbage leaves and steamed until tender and succulent. Another drool-worthy version of cabbage is mango cabbage wraps. 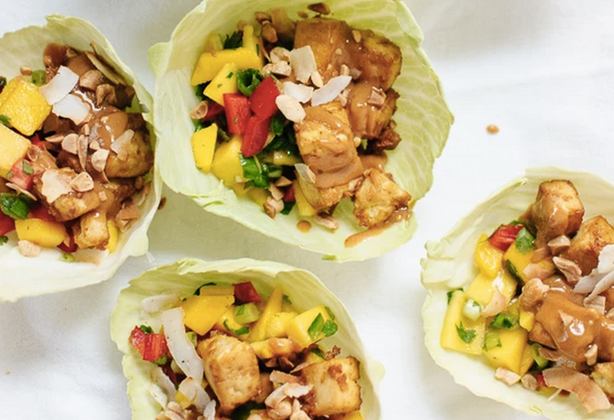 Fill cabbage leaves with a crispy tofu and juicy mango filling and steam to perfection. Enjoy these yummy wraps as a light evening tea snack. 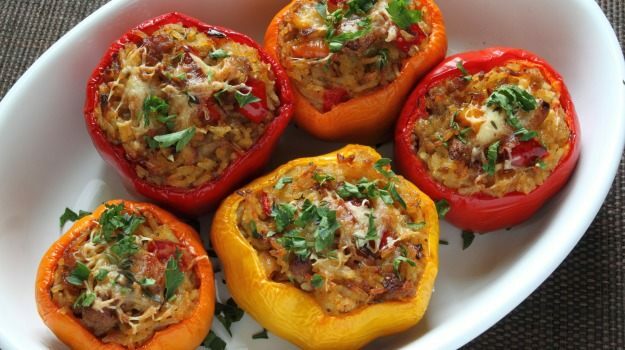 Stuffed capsicum can never go wrong, regardless of your choice of filling. Make this delicious version of cabbage incorporated inside fresh deseeded capsicums along with freshly grated carrots. Fry them until perfectly crisp. This east and light South Indian delicacy is prepared with cabbage, urad dal, chana dal, a mélange of delightful spices, and tempered with mustard seeds and grated coconut. This fare tastes best with sambar rice or rasam. 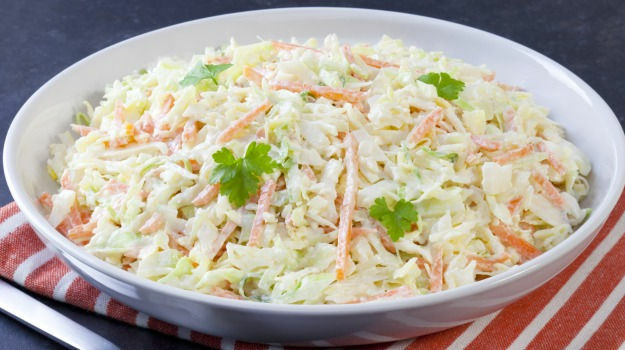 Say no to mayo based dressings and try this healthiest version of cabbage salad seasoned only with apple cider vinegar, ketchup, and brown sugar. This wholesome, incredibly light and filling soup is a perfect mixture of cabbage, mushrooms, leeks, carrots, ginger, tofu, and edamame. 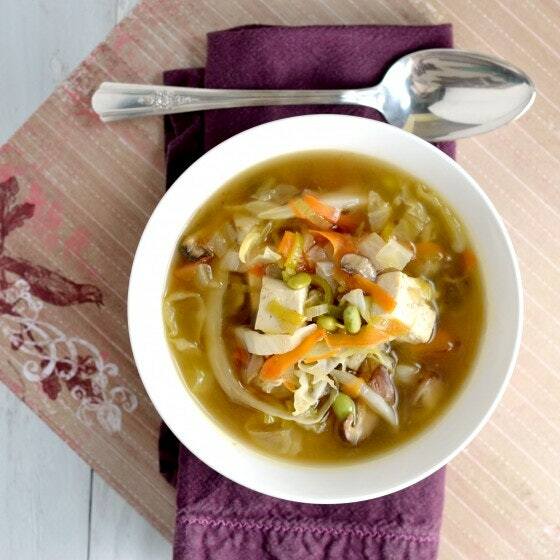 Heaps of cabbage give this fabulous soup a hearty texture and make up for the lack of noodle. 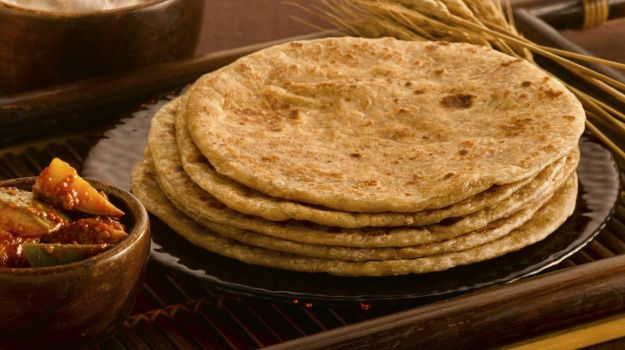 This cabbage stuffed paratha is a perfect and healthy breakfast option for satisfying your appetite. Make the stuffing of parathas with cabbage, potatoes, and onions, and season with a wide array of spices to achieve an authentic piquant taste. 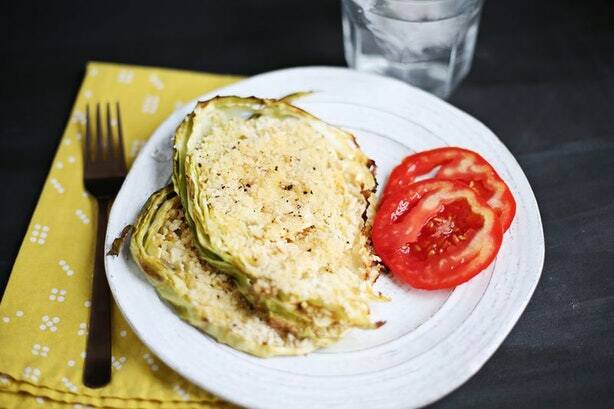 Another healthy and yumilicious recipe for cabbage lovers that is sort of like a roasted wedge salad, is a perfect option for a light lunch. Make this delicious salad with cabbage, olive oil, honey, bread crumbs, mustard, and pepper. 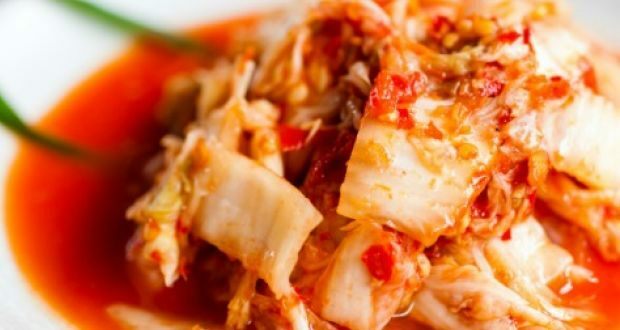 Enjoy this sweet and sour Korean version of cabbage prepared from vegetables, most commonly Korean radishes and Napa cabbage, that are fermented with garlic, ginger, scallions, soya sauce, jeotgal, vinegar and chili flakes. This pungent, super spicy 5-alarm sauerkraut is a perfect accruement to any meal! Korean use it as a side for everything from pancakes to soups, and as a topping on burgers and pizza. While nothing complements a roast dinner better than cabbage, it doesn’t have to be served bland and steamed. 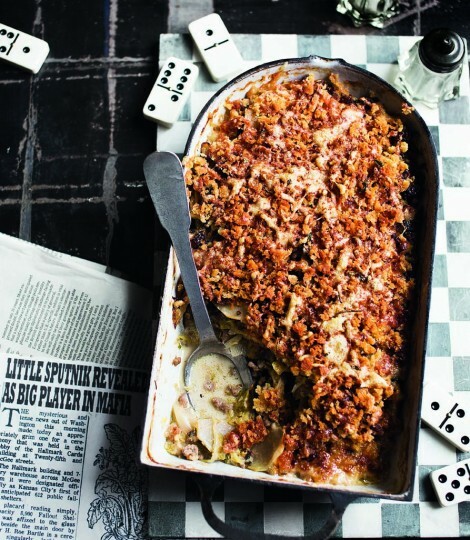 This Italian, crunchy, and delicious cabbage recipe is prepared from shredded cabbage, shredded cheddar cheese, onion, ground lamb, butter, fennel seeds, chicken stock, and breadcrumbs. Kohlrabi retains its crunch during baking, perfectly balancing out the tenderness of the savoy cabbage and the succulemt lamb. It is a scrumptious and comforting meal that you shouldn’t miss out on. When stir-fried cabbage is combined with coconut, curry leaves, curd, shallots and chili, it will create an out-of-the-world taste. The cabbage is served with moor, a curd based recipe indulged with chilies and shallots as tempering. 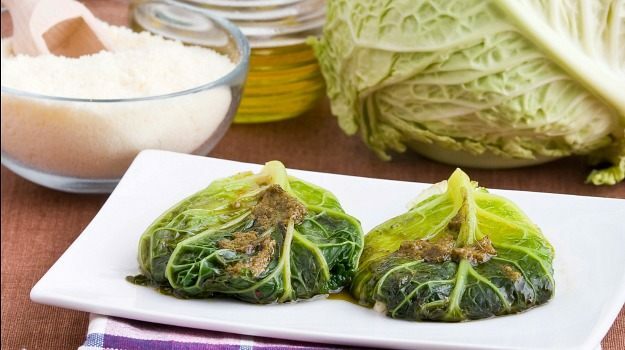 You will surely love these savory cabbage rolls filled with a lamb and spring onions mixture, brewed in an appealing stock. 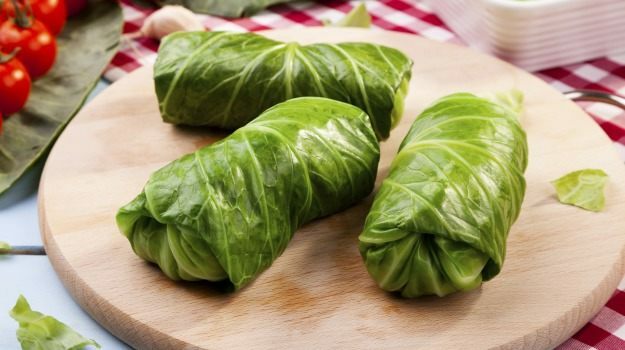 Meaty cabbage rolls are a perfect snacking option to stave off the evening hunger pangs. This cabbage based condiment will never go out of styles, with food aficionados forever tweaking its authentic recipe to come up with their own renditions. 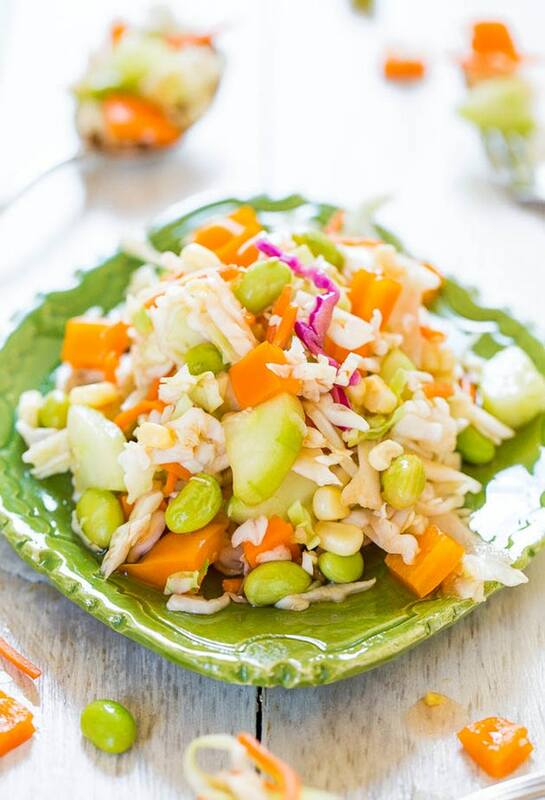 Whether it is used as a sandwich spread or as a dip, this delicious carrot and cashew coleslaw is simply mouth-watering. Mix grated carrots with vinegar, chopped celery sticks, mustard seeds, sesame oil, parsley, plump grapes, apple juice, cashew nuts and poppy seeds to prepare this drool worthy delicacy. I’m sure this tongue tantalizing list of delicacies will make you fall in love with this boring vegetable. Visit a desi Indian restaurant to try out these ridiculously delicious cabbage recipes or put on your apron and get set cooking.